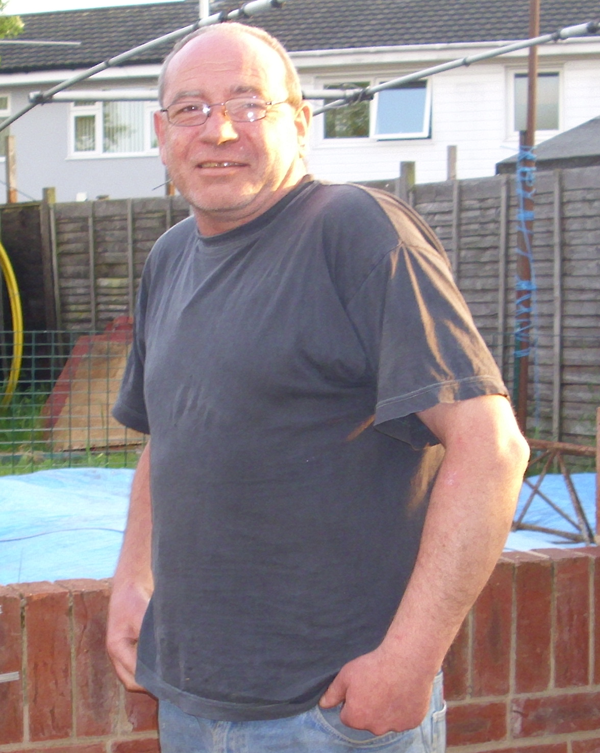 I will be adding more as and when M3PYG (Tony) lets me have anything he wants me to put on this page. These pictures are to show that you can make Antennas from just about anything. Well done tony. 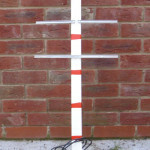 This is the 2Mtr Satellite Antenna that tony built, the SWR is 1:1. It is made from Upvc about 35mm by 6mm stripping (Used for the Boom) and the Elements are made from Stainless steel U Section. 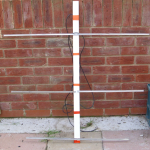 This is the 70cm Satellite Antenna that tony built, the construction is the same as the 2Mtr Antenna. 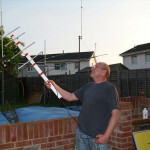 Tony trying out his 70cm Antenna. (Tony it would be best to connect it to a Radio 1st, it would work a lot better LOL).